1 Guess per person for each revealed box! First answer will taken regardless of how many you give. Last edited by fops on Thu Jun 21, 2012 21:21:01, edited 1 time in total. 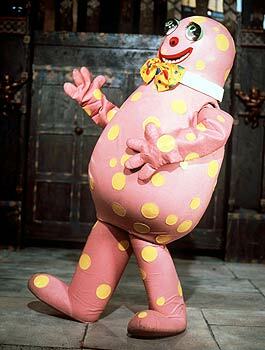 fops wrote: It's Mr Blobby! Nope. Number 6 is a pretty revealing box out of all of them btw I could see someone possibly getting it. Infact I will make it 1 guess per person now. Think that makes more sense. Dunno what that is ethier but it sounds like an interesting concept.